What is a credit card lender, and how does it differ from a payment system? Find out about Visa credit cards, their positives and negatives, and how you can find the right one for your needs. When they’re used sensibly, credit cards can be a handy way to borrow money and pay it back over time, as long as they’re managed well. First and foremost, don’t confuse a credit card with a debit card. A debit card uses money that’s already yours, by and large. When you pay for things using a credit card, you’re using money that you don’t technically have – you’re just borrowing it, to pay back at a later date. Each credit card is subject to a credit agreement between the cardholder (you) and the lender (whoever you’ve gotten your credit card from). If you don’t pay off the outstanding amount on your credit card, you'll accrue interest and charges on top of the money you already owe. If you do repay your balance in full before the due date (often monthly), you’ll not be charged any interest. Now we’ve covered the basics of how credit cards work, let’s take a look at Visa credit cards more specifically. You’ve probably got a debit or credit card at home with Visa’s logo on it. This is because Visa is a type of payment system, like MasterCard, American Express and Discover. Visa doesn’t issue credit cards itself, but rather lenders (like various banks and financial companies) issue their credit cards using Visa’s system. That’s why you might have a debit card with NatWest and Visa’s logos on it. NatWest is the lender, and Visa is the system the card uses to work. Visa credit cards have had a few technological advances, such as becoming contactless, increased security measures and smartphone integration. Visa contactless payments were introduced in 2007, meaning you only have to hold your Visa credit card up to a contactless payment terminal to make a transaction – you don’t have to enter your pin. Verified by Visa is a security measure introduced to remove the need to share debit or credit card details with retailers. Instead of entering all your card details, you’ll be prompted to enter your Verified by Visa username and password, which you’d have previously set up. In 2014, Visa teamed up with Apple to incorporate being able to use your smartphone to make credit or debit card payments. Like with Visa contactless, you put your smartphone to the terminal card reader to make a transaction. All of these changes to the ease of which credit cards can be used doesn’t mean you should use them more often. Managing your credit card responsibly should still be a priority, to keep your repayments affordable. The most important thing to remember about credit cards is that you'll be spending money that isn’t yours and you’ll have to pay it back. One positive of credit cards though is that you can use them to buy expensive items you couldn’t afford to pay for in one go, as long as you can afford the credit card repayments. Some credit cards have benefits and discounts attached to them. The problem with these rewards is you have to adhere to specific conditions to benefit. For example, a cashback credit card allows the user to accumulate a percentage of money back for each purchase made. However, in order to benefit from the cashback, you’d need to repay the balance in full each month, as the interest you’d be charged might outweigh the cashback benefit. Rewards cards in particular tend to have high interest attached to them. The drawbacks of credit cards are that you're only borrowing the money, and you could rack up quite a debt if you don’t make the repayments on time. There may also be some unexpected fees, such as if you go over your spend limit or don’t manage to make your monthly payment on time. This could also affect your credit rating. How do you get a Visa credit card? Visa has one main payment system competitor - MasterCard. American Express has its own payment system too, but it issues its own credit cards. A Visa credit card is available from a whole range of providers, like HSBC, NatWest, Barclays, Nationwide, Vanquis, Black Diamond and so on. GoCompare isn’t a lender, and we can’t advise you on whether a credit card is right for you or not. But you can compare a range of different credit card types and lenders through us, so you can see some of the credit cards you might be able to get. Want to see what credit cards you might be eligible for? 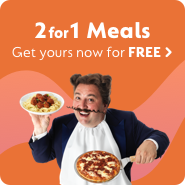 You can use GoCompare’s smart search feature. If you’ve been rejected because a lender wasn’t satisfied with your credit history, this'll leave an impact on your credit file that other lenders can see, meaning they may be more likely to reject you. Smart search does a soft credit check on you, which other lenders can’t see on your credit report. This allows you to view and compare what Visa credit cards you’re likely to be eligible for, without leaving an impact on your credit history. There’s no need to be afraid of getting a Visa credit card, as long as you’re able to effectively manage your credit and use the card responsibly.